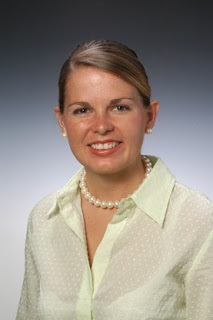 Bio: Candace serves as a consultant for economic and community real estate development projects at Property Advisors. She has worked as a lobbyist advocating for children and families with Kentucky and Ohio state legislatures, lobbied for small business with teh Kentucky legislature, directed and led volunteer and agency advocacy efforts and also organized community leaders and executives for advocacy visits to Washington DC. She expects her Juris Doctor from Chase College of Law in 2008. Candace is very involved in the community. She currently serves as President of Mayor Mallory's Young Professionals Kitchen Cabinet. She is a steering committe member of LEGACY, a founding member of United Way Young Leaders Society and a graduate of Leadership North Kentucky. Candace: A leader listens as well as she speaks, takes advice as often (if not more) than she offers it. A leader is thirsty for knowledge, and realizes that,at all times, she still has much to learn. Candace: My mother, my peers, and those in the community who I truly respect. Candace: Knowing that I, in some way, have inspired someone else to become a leader. Candace: I am bothered most when my intentions are questioned, when a person sees my genuine passion for the community in some way as being selfish. Candace: My biggest challenge is maintaining my sense of self while living up to others expectations. I am a free spirit by nature, and sometimes it is difficult not to stifle that. Candace: I had significant health problems in 2003, causing me to make some major life decision changes and to alter some future plans. This taught me, however, how short life is and how minor my problems are in the grand scheme. I have learned through this experience not to take myself too seriously, and to live every day as if tomorrow is not guaranteed. Candace: I admit that I am a big self-help addict. I am currently reading “Appreciative Inquiry” (a gift from a dear friend), and just picked up “From Good to Great” (suggestion from another dear friend). I will forever be a student, and like to learn practical applications for improving my skills and interactions with others. Candace: My vision is simple. A friend once told me that our region needs a slammed door. Imagine having an in-depth conversation with someone and suddenly hearing a door slam behind you. You stop and look to see who has entered the room, and if only for a brief moment, you have the chance to change the direction of your conversation. I would like to help slam the door for Cincinnati, to create an initiative, a movement so big that it slams the door on our conversation and, if just for a moment, allows us to change our perception and conversation to one of pride for our community…to one where we feel we are the most competitive region in the world. Candace: I see myself leading my company (as in-house council and partner) and leading my community through public service of some sort (on the road to Governor of Kentucky in 2027). As long as my daily work is promoting the greater good of our region, I will be happy in whatever position I hold in five years. Closing remarks (from Herman): Wow! I absolutely love your "slammed door" vision for the city. Max De Pree once said, “The first responsibility of a leader is to define reality. The last is to say thank you. In between, the leader is a servant.” Hearing a door slam behind you (for a leader) brings them back to reality when they are lost in the mundane and the ineffective. So, allow me to say "Thank you" for endeavoring to "slam door for Cincinnati". In between, let us continue to be of service to society. Thanks for modeling first class leadership - and good luck on your "Road to the Governor's Mansion" - 2027.